Easiest Way to Recover Lost iPad Data without Backup or from iTunes/iCloud Backup. After smartphones and laptops, tablets are the trending piece of technology in the market, and when it comes to an iPad, it is one of the hot-selling Apple products. It is a lightweight tablet used by people for storing videos, photos, music, contacts and much more. However, you might end up losing the priceless data from your iPad due to software crash, incomplete data transfer, failed iOS upgrade, virus invasion, accidental deletion, etc. But there is always a way out of such distressful conditions. You can recover deleted files on iPad with ease if you get the right iPad data recovery software. Tenorshare UltData is a trustworthy and complete data recovery software that you can use to recover any lost data from all iPad models. It will help you extract every single piece of information from your iTunes/iCloud backup, in case your iPad is lost or broken. Also, if you do not have a backup, you can still recover iPad files directly from your device using this versatile tool. Recover photos, messages (WhatsApp, text, Viber), videos and up to 25 types of iPad data. Recover iPad data from iPad without backup. Selectively restore data from iTunes backup without data overwriting. Download data from iCloud backup without erasing iPhone. Recover data when iPad gets water damage/stuck/hung/disabled/lost. Preview all files by category before recovery. Support data recovery on 12.9-inch/9.7-inch iPad Pro, iPad Air 2, iPad Air, iPad mini 4/3/2, iPad with Retina Display (iPad 4), iPad mini, the New iPad (iPad 3), iPad 2 and iPad 1. Part 2: How to Recover Deleted Files from iPhone without/from Backup? No backup file? There is nothing to worry. Tenorshare UltData will be your life savior for retrieving any deleted files on your iPad. It will directly scan your device and recover the lost data from your iPad itself onto your PC. Step 2: After your device is detected, check “Select All” and click on “Start Scan”. The program will scan all the data present in your device. Or else you can select only the files you want and then click on Start Scan. If you have previously synced your iPad to your iTunes account, then even if your iPad is lost or damaged, you do not need to worry. Simply extract and recover the iPad data from the unreadable iTunes backup file. Step 1: Launch UltData and select “Recover Data from iTunes Backup File". On doing this, the program will automatically list all the backups of the device that you have previously synced with iTunes on your computer. Select the one from your iPad and “Start Scan”. Step 2: After scanning is over, all the files which had a backup will be displayed. You can then do a preview and select the ones you want to recover. Step 3: Hit "Recover", and in a few minutes, all your lost data will be restored on your PC. iCloud backup is another reliable source of recovery of your lost/deleted data from iPad. Selectively restore and download iCloud backup using UltData but do not overwrite the existing iPad information. Step 1: Run UltData on your PC and select “Recover Data from iCloud Backup File”. Now in the window that opens, put in your iCloud account ID and password and click on Sign In. Step 2: A list of iCloud backups will be displayed on the primary interface. Select the backup files you need and click on “Next” to confirm your selection. Step 3. A window pops up after this, where you can tick the type of files you want to recover and click on “Next” to download them from the iCloud backup. Step 4: After scanning is over, preview the specific files, messages, and photos and hit “Recover” to download them on your PC. Recovering iPad data isn’t something impossible. 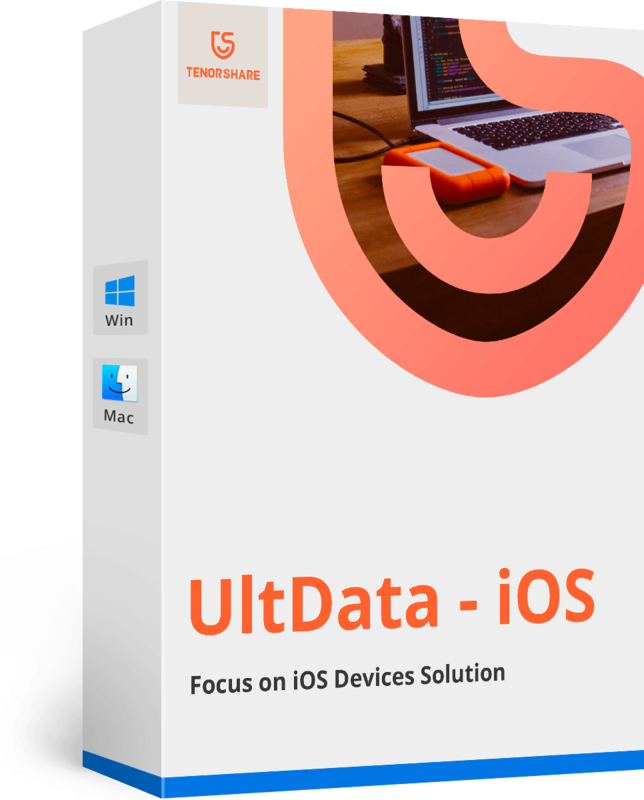 Just get Tenorshare UltData and get your lost data back to iPad now.